Two art galleries are currently surveying the art scene in San Francisco. One show highlights conceptual art from the 1970’s, and one is more about craft in the 90’s. Both shows are vibrant and informative, revealing changes in art practice over the decades. They also show how local artists originated, and responded to, larger art world trends. 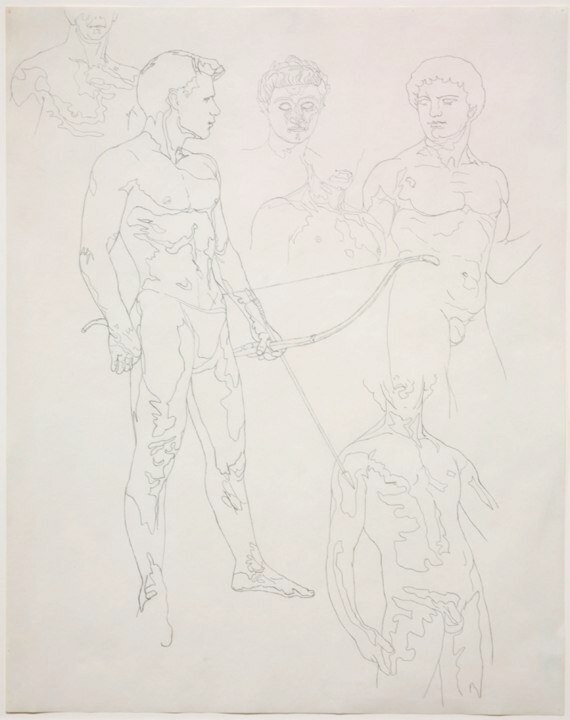 Study for Narkissos, Jess in Sight/Vision: The Urban Milieu at Gallery Paule Anglim. You’ll realize that this is in neither of the two shows discussed, but hey, I liked it! In the 1990’s, a shift towards craft, punk, Beatnik and graffiti art was happening in San Francisco. Emphasis was on making things, and incorporating a “beat” aesthetic (street aesthetic). This work, which became know as the Mission School, is on display in Energy That is All Around, at the San Francisco Art Institute. 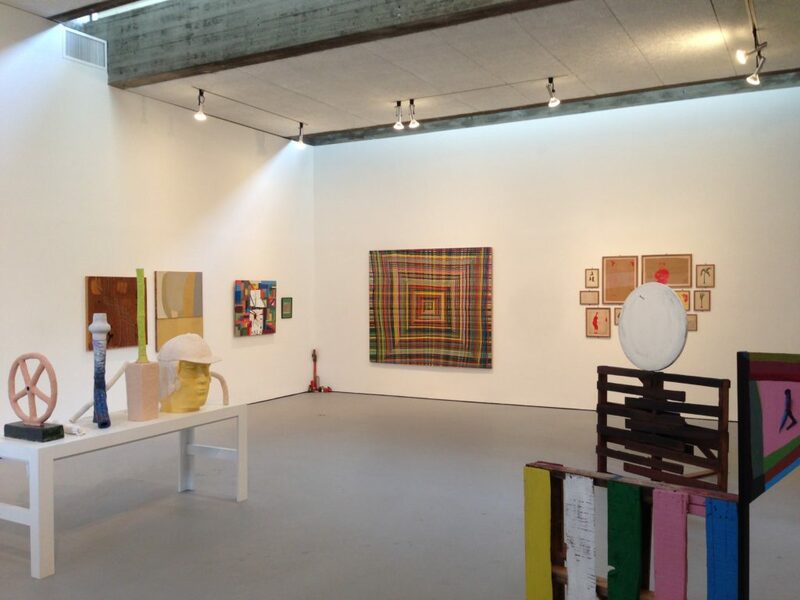 Artists on display include Chris Johanson, Margaret Kilgallen, Alicia McCarthy, Barry McGee and Ruby Neri. These artists were documenting a city in flux in the 1990s through 2000s, as the dot.com bubble was inflating. Especially relevant is Chris Johanson’s 1999 “The Survivalists”, a poignant take on the tech boom in San Francisco. As a designer, I kept thinking “I would love to do a graffiti wall in a clients house”. As an art lover, I enjoyed the uninhibited nature of the work. If you go to this show at the Art Institute, you have two bonuses to enjoy: the Diego Rivera mural, and the great brutalist architecture of the 1970’s addition.